On the first weekend in April, grassroots leaders and activists from all over the world met in a conference room in Washington DC for The Chico Mendes conference, named after indigenous environmental rights activist from Brazil, Francisco Alves “Chico” Mendes, a rubber tapper from the Amazon region, assassinated in 1988 by a rancher. He joined the fight to protect the Amazon, the environment and people’s livelihoods from cattle ranchers, government officials and large-scale mining corporations – whose profit depends on the destruction of the environment. In one of his most well-known quotes, Chico says, “First, I thought I was fighting for the rubber tappers, then I thought I was fighting for the Amazon, then I realized I was fighting for humanity.” Throughout his life he worked as a rubber tapper, a trade union leader, and an activist before being shot down in 1988. At the conference, environmental activists met from all over the world to discuss tactics and strategy, commemorate Chico’s life and discuss how to continue Chico’s fight. “Power for power’s sake, money for money’s sake,” asserted Marina Silva as she described what she saw as the core issue of the times we live in. One of the keynote speakers for the conference and former environment minister of Brazil, Marina Silva, spoke with urgency as she labeled the time we live in as “the crisis of our civilization.” The crisis has three parts to it – all of which are structural: economic, political and social. But it’s more than just a mere crisis, “We run a risk of there not being a point of return anymore; that’s what concerns me,” she said during her keynote speech. According to her, we’re currently witnessing “the collapse of our civilization . . . just like the Greeks, Romans and pre-Columbians” eventually witnessed theirs. 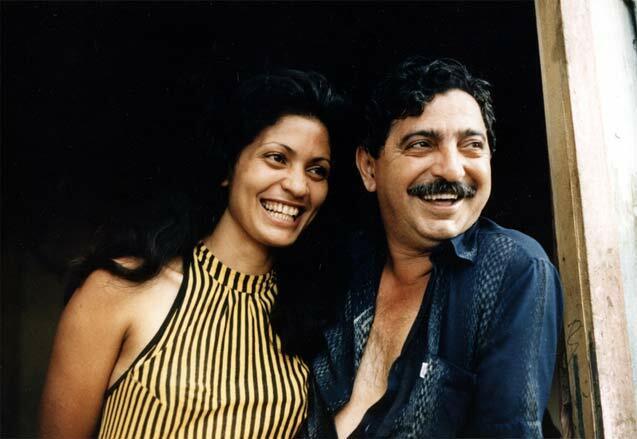 Marina knew Chico Mendes from the time she was 17 years old. She describes him as someone whose vision and projects were ahead of his time, but she also believes that he had a legacy that was “projected onto him.” It’s important to “think about Chico Mendes as a person, not as someone mythical or special” because then “people think they can’t do what he did.” She remembers when Chico Mendes was called anti-progress and anti-development for daring to question the effects of development, corporations and resource extraction on the Amazon and the environment. Grassroots and indigenous leaders from around the world were in the crowd: Godfrey Massah from Tanzania; Aunty Joan Hendricks from Australia; Edwin Cisco from Liberia; Norman Jiwan from Indonesia; Chief Liz Logan from First Nations (Canada); Cristian Otzin and Ernesto Tzi from Guatemala; Christhian Prado Andrade and Franco Viteri from Ecuador; Tek Vannara from Cambodia; and Hiparidi Top’tiro, Tailey Terena, Raimundo Mendes de Barros, and Gomercindo Rodriguea from Brazil. These grassroots and indigenous tribe leaders were meeting because they had one thing in common: their interest in protecting indigenous rights and defending the environment, the land and their livelihoods from governments and multinational corporations. Their stories, albeit with many different details and context, sound eerily similar: governments teaming up with multinational corporations, backed by pressure from Western entities, to grab land, deforest and damage the environment in the name of supposed development, investment and innovation. In Tanzania, orchestrated by government officials pressured by the European Union, biofuel companies are grabbing land from indigenous small-scale farmers and pastoralists, often without their consent or prior knowledge. Godfrey Massah, a program officer at the Land Rights Research and Resources Institute, told the story of Bioshape Holdings and Sun Biofuels.  Bioshape holdings acquired 54,000 hectares of land that was originally forest. Before that acquisition, four villages were using and living on the land. The Dutch investors bought the land for $670,000, cut down 10 million trees, and sold the timber for $6.7 million. Afterward, they left, claiming that their company went bankrupt. The result was a food and water shortage in the area. Because the investor had cut down all the trees, villagers were not in a position to use the land, even after they left, and were deprived of access to the land, water and forest – causing many to go hungry. Of course, Tanzania is not just an exception in the World Bank’s complicity with land grabs. In Indonesia, only after a global campaign headed by Indonesian environmental activists, did the World Bank agree to stop funding palm oil industries . . . but only for the next two years. However, this agreement excludes sugar cane plantations, mineral oil and gas concessions – and the majority of the forests that belong to indigenous people are being threatened with mineral oil mining. On the last day of the conference, a workshop, called “Protection For Defenders,” was held. In Brazil, people with interests in capitalizing the land’s resources hire and pay gunmen and private security to shoot and kill environmental activists and “crack down” on indigenous communities. Over the past couple of years, indigenous peoples have been escalating a fight to re-claim their land, seizing it from the estate owners. In 2012, when hundreds of indigenous peoples seized their land (that was formally recognized as indigenous land in 2009), gunmen came down on the camp, shooting and kidnapping their leader, Nisio Gomes. In 2013, when indigenous peoples took control of their land once again, federal police and the military moved in and used flash bombs and rubber bullets which resulted in the killing of one indigenous person (along with four injured). Chico Vive: The Legacy of Chico Mendes and the Global Grassroots Environmental... [Mafia Migas] Who are The People behind Indonesia’s Oil and Gas Mafia?